ROLLUP in SQL Server is used to do aggregate operation on multiple levels in hierarchy. 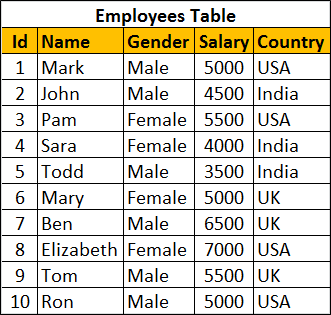 Let us understand Rollup in SQL Server with examples. We will use the following Employees table for the examples in this video. There are several ways to achieve this. The easiest way is by using Rollup with Group By. Group Salary by Country and Gender. 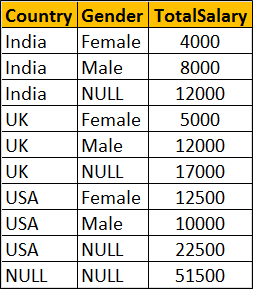 Also compute the Subtotal for Country level and Grand Total as shown below.